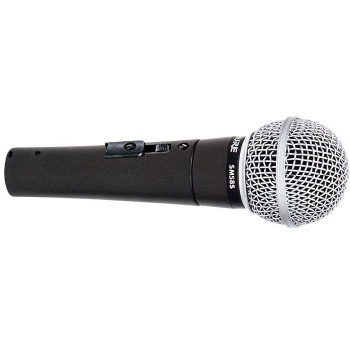 Legendary for its uncanny ability to withstand abuse that would destroy any other mic. World-renowned for its distinctive upper-midrange presence peak that ensures an intelligible, lively sound. Perfectly fits the hand, balanced for total comfort during long live music gigs. Frequency response is a smooth, vocal-tailored 50Hz-15kHz, and the price is a bargain considering its life expectancy. Includes an on/off switch for convenience onstage.